Stop whatever you’re doing right now and watch these guys dance. Trust me; you’ll be so glad you did. 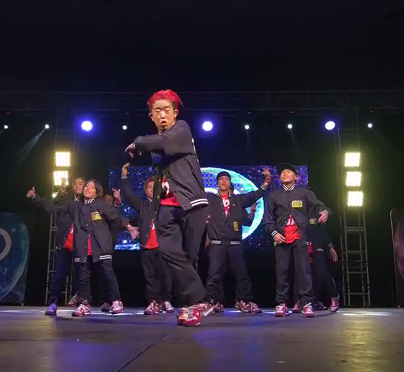 Japanese breakdancers Kyushudanji Shinsengumi just snatched first place in the Youth Division at World of Dance Los Angeles 2015. And by about, oh, maybe 30 seconds or so into this routine you’ll see why. There are tons of talented dance crews out there. And they are doing some great work. But Kyushudanji Shinsengumi takes things to a whole new level. Their athleticism is jaw dropping. And their choreography is beyond impressive. But I think what may be most impressive of all is their practically flawless, spot on, execution. They’ve managed to eliminate those awkward blank spots that tend to show up in even some of the most impressive group breaking or hip hop routines. Unfortunately, I wasn’t able to dig up anything on these guys. But I imagine with this dance performance, and that win, that’s not going to last long. I see superstardom in their near future.